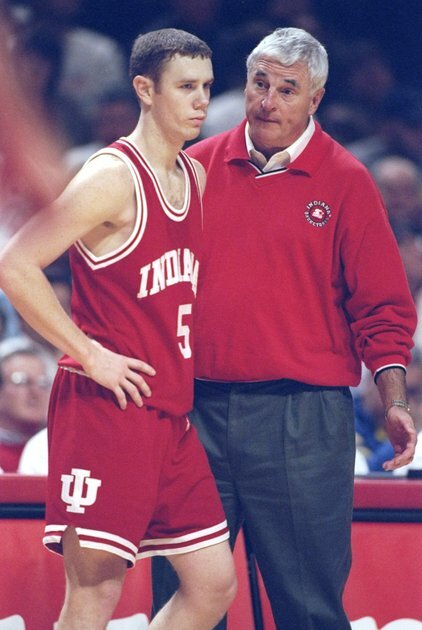 To most college basketball fans, Neil Reed was the Indiana player legendary coach Bob Knight choked in 1997. To those close to Reed, however, he was far more than that. He was a McDonald's All-American who led East Jefferson High in New Orleans to a pair of appearances in the state tournament. He was a PE teacher and sports enthusiast who coached basketball and golf at a high school in Central California. And he was a father to two daughters, ages 4 and 6. Reed, 36, died Thursday of a massive heart attack, fellow faculty members at Pioneer Valley High School told the Santa Maria Times. The Nipomo, Calif., resident had difficulty breathing Thursday morning and was taken to an area hospital where he went into cardiac arrest and could not be revived. A solid but unspectacular player throughout his first three seasons at Indiana, Reed's life changed when Knight attacked and choked him during a practice near the end of his junior season. Knight dismissed Reed from the team at the end of the season and he finished his college career at Southern Mississippi. In March 2000, Reed went public with his claims that Knight had choked him three years earlier. The Indiana coach denied the accusation, but video of the incident surfaced, giving the school further reason to fire Knight six months later. Reed stayed out of the public eye after the controversy surrounding the end of Knight's tenure faded. He led an otherwise quiet life but one that ended far too soon.